Reno is having one heck of a fruit harvest this year. 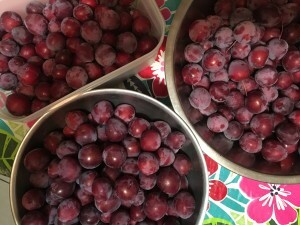 At Divine Plate, we’ve been lucky enough to glean some local fruit trees. 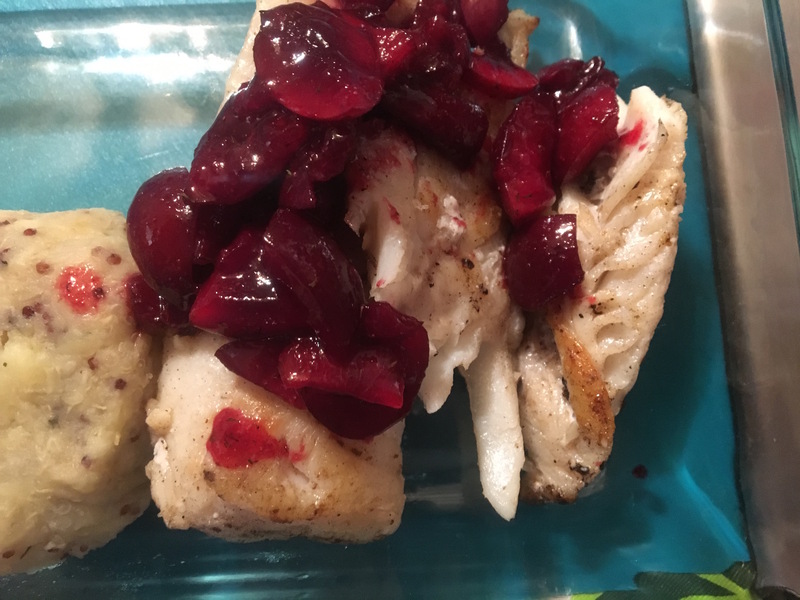 After a recent plum harvest we made a fruity fish dish that can be cooked in a single pan in about 15 minutes. Pit and slice plums in half or in chunks, depending on size. Lightly sautée in olive oil with garlic and white wine. 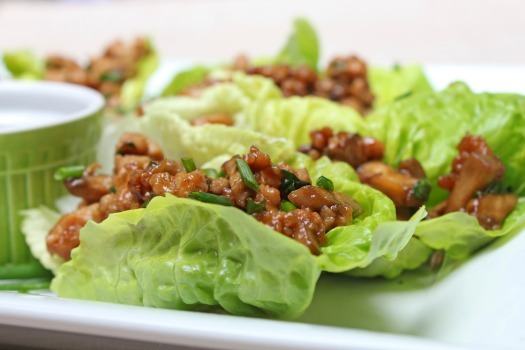 After a served at a corporate luncheon and the recipe was requested by several members of the group – so here it is. This brand is available at the Asian Market on 5th St. Mix, shake, store — all in one jar. We make the sauce in a large Mason jar – you don’t have to, but it make it easy to store. In mason jar add 12oz sweet chili sauce (best deal at Asian market on 5th St.), then fill to 20oz mark with low sodium soy, fill to 24oz with sesame oil, add hot chili oil and 1/4 cup lime juice. Shake, refrigerate. 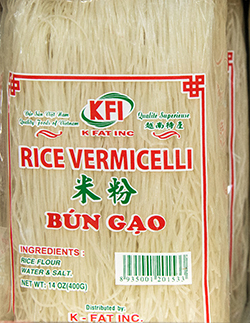 Soak rice noodles in cold water till soft, drain, chop – you can pulse in food processor, as well. Combine chicken, noodles and vegetables in bowl, add ½ cup of the sauce (or to taste). 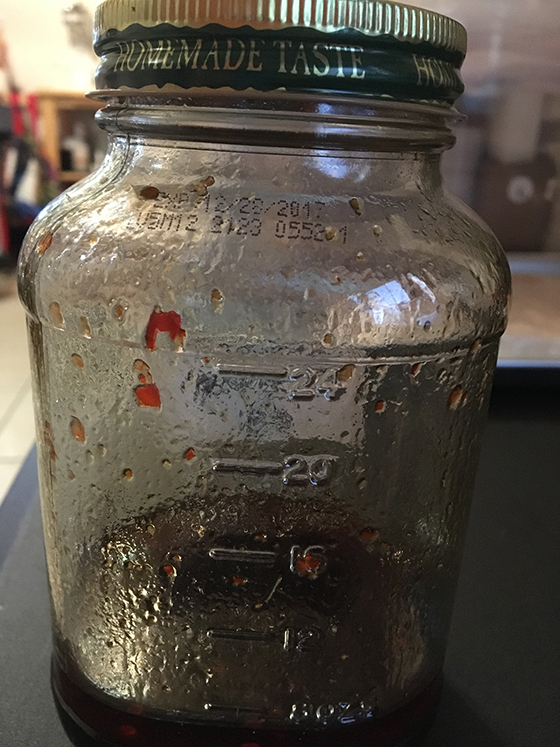 Store rest of the sauce in fridge for up to a month.